We were travelling around Switzerland to see beauty of “everything”. Switzerland has nice trains, but we travelled mostly by car, because it’s probably the cheapest way to move around. Public transport is quite expensive, for example train from Basel to Zurich costs 32 CHF and there is no return discount, so return ticket costs 64 CHF. 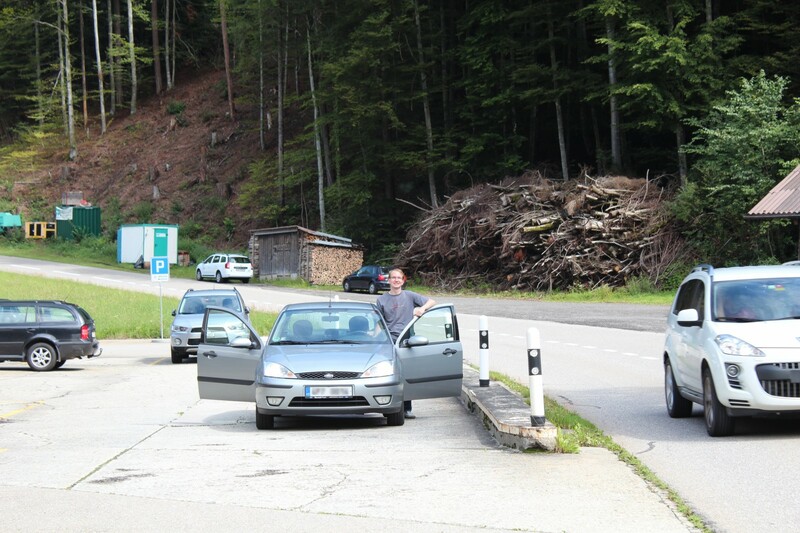 By car it is 85 km, so it consumes about 5 liters of petrol and 1 l costs 1.76 CHF, so it’s about 9 CHF one way. I’ll write more about trains in the separate blog post. They have four different kinds of roads with different speed limit. In the city, you have to drive up to 50 km/h, in living area in side streets usually only 30 km/h and in outside area often 60 km/h. Outside the city, there are highways, expressways and motorways. Highway is general 2 lane road with speed limit 80 km/h. Expressway is similar to highway, but there is speed limit 100 km/h and lanes are separated, so it’s not possible to overtake – everyone is driving as is driving the slowest driver. Motorways are 4 or more lanes roads with speed limit of 120 km/h. Speed limit of 120 km/h on highways is quite low. It make sense on some curvy parts, but there are many straights, where would be possible to drive faster safely. You have to buy toll sticker for 40 CHF for one year. It’s not possible to buy shorter one. Complete length of Swiss motorways is about 1,800 km and there are about 200 tunnels, all tunnels are free except two of them. If you get caught without toll sticker, you will have to pay fine 200 CHF and immediately buy toll sticker anyway for another, already mentioned, 40 CHF. Considering other prices in Switzerland, 40 CHF for annual toll sticker is really low price. Compared with the Czech Republic, there is only 1,200 km of motorways, much much less tunnels and annual toll sticker costs 65 CHF (1,500 CZK) and I’m not mentioning quality of several of them. Fines are very high in Switzerland, so I am trying to drive a bit under speed limit to be sure that I will not get a ticket. Speed radars are quite often and working, not just dummy boxes with nothing inside, because they took a picture of other cars. 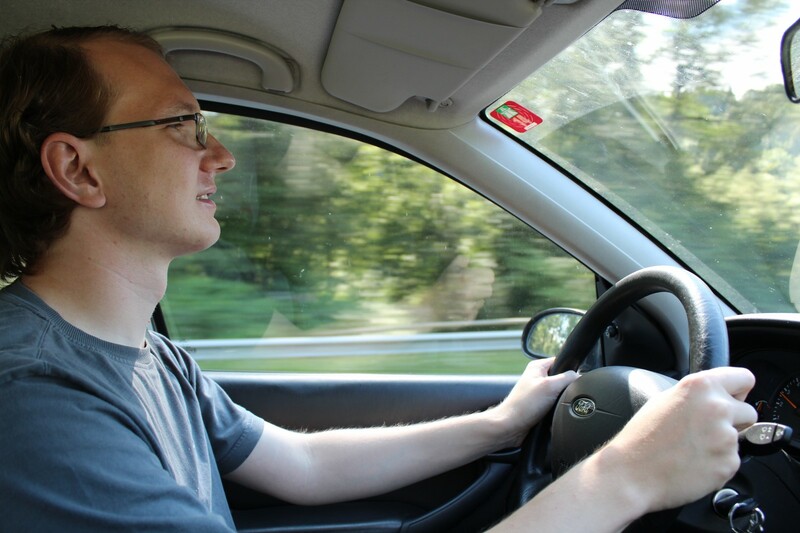 You can drive up to 120 km/h on motorways and most drivers are driving slower, but when there is a temporary speed limit for 100 km/h, some of them drive a bit faster, so sometimes we are overtaking each other several times. 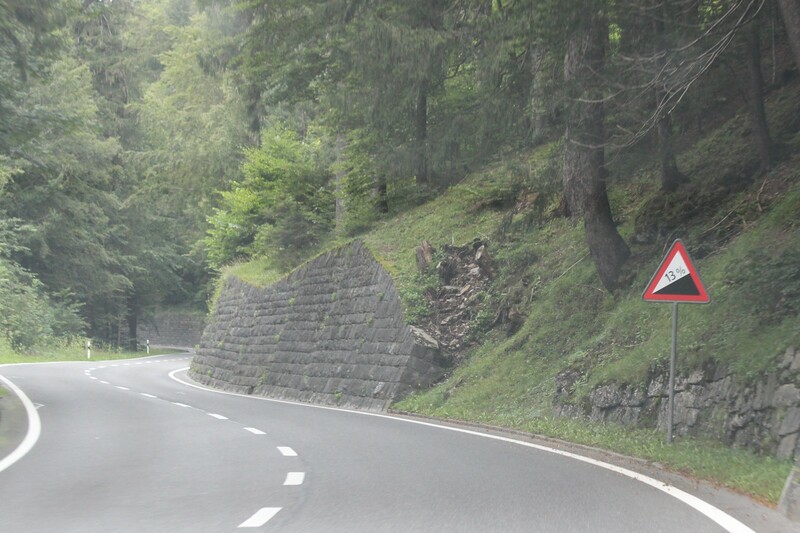 Lower speed limit is usually in tunnels, intersections and on nice straight parts on the highway for unknown reason. It’s possible to drive 120 km/h only through really short tunnels, longer have usually 100 km/h or only 80 km/h speed limit. Absolute majority of roads we were driving is in great condition. We were also driving around mountains. No exactly on mountain roads in high altitude, but only around mountains in lower altitude, but even there I really enjoyed nice roads with sharp turns, it was wonderful to drive there. There was also amazing landscape to view. Some roads are under construction, that’s normal and construction sites are well marked. Once on 6 lanes motorway, both directions were join to only 1 lane in each direction because of some tunnel reconstruction and the second tunnel became to be bi-directional in only 1 lane in each direction with no separation between directions. Luckily, there was heavy traffic, otherwise I would be afraid that somebody forgets that this tunnel is bidirectional and begin overtaking. Drivers are usually nice, calm and respectful to other drivers, cyclist and pedestrians. If you need to switch lane, just switch on blinkers and somebody will let you soon. Probably the only thing I hate is custom, that drivers usually don’t use blinkers unless it’s really necessary. On low traffic, they just switch lanes without blinking and if they use turning lane, they don’t use blinkers too. Interesting fact is, that in Switzerland is no maximal speed on railway crossings, and you just have to drive as fast as you would be able to securely stop if necessary. I have a question about that radar boxes; how do they do when somebody runs over speed limit somewhere? And then what? They send a letter to you or how do they resolve this situation?